- Premium high quality materials. Adjustable velcro strap closure to ensure a snug fit. - Soft cloth material absorbs moisture and sweat. - Comfortable neoprene padded wrist support of over 3 inches in length to fully support and cushion your wrists during intense weight lifting and exercise. - Great for sports training, added weight training, rehabilitation, brisk walks and cardio classes. - Takes seconds to put on and easy to adjust the tightness or looseness of the weights. 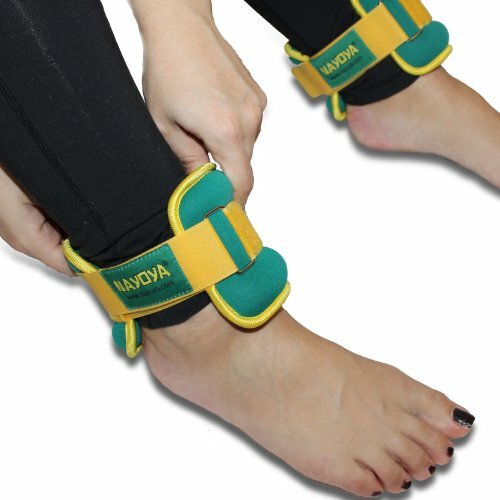 - Valuable tool for trainers, physical therapists, at home moms who workout at home. If you have any questions about this product by Nayoya Wellness, contact us by completing and submitting the form below. If you are looking for a specif part number, please include it with your message.